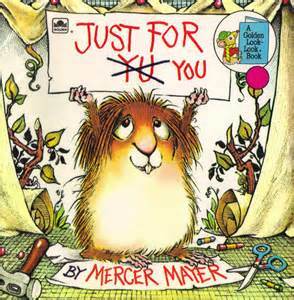 Mercer Mayer is one of the world's most beloved children's' book author and illustrator. He is probably best known for his children's book series about a lovable furry character named Little Critter. This adorable little “monster” gets into all the usual childhood mishaps with his mother, father and little sister. Little Critter learns about sharing, being afraid, having patience and have fun with his friends and family. Little Critter books are excellent resources to help children understand and cope with life's many little issues. Children can laugh at their own foibles seen in his antics. Mercer Mayer has also written a series about Little Monster. If you like these characters you want these free printable Little Critter activities. Start by printing the free printable Little Critter coloring pages that the author has kindly provided on his website. There are lots of fun pictures from the books for you to color. Little Critter is always surrounded by lots of animal friends, like cute spiders, friendly snakes, cuddly kittens, sweet puppies, cheerful bugs and other...well... little critters! Next get a whole booklet of free printable Little Critter activity pages, games and puzzles. Then you have to scoop up the free printable Little Monster coloring pages and games. Preschool kids will love the activities and coloring pages for car rides, rainy days and sick days. Babysitters, bring a supply of coloring pages with you when you babysit. Kids will love you. Check out the entire collection of Little Critter learning activities. DL-TK has free printable Little Critter paper dolls. Scroll down for several outfits to print in black and white (and use as coloring pages) or in color if you prefer. Children will enjoy listening to the stories and then making their paper doll. Kids can retell the story using their paper doll to help. This craft is perfect for preschool, day care, summer reading programs, library story hour and day camp.